A closed independent day school in Rotherham has gone up for sale. 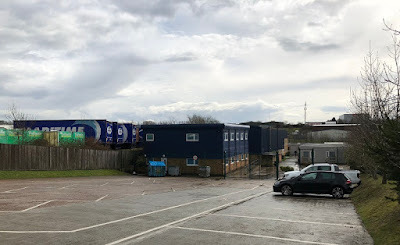 The Bramley Campus of the Focus School on the Hellaby Industrial Estate closed in November and was formerly known as the Elsworth House School. It was operated by Plymouth Brethren Christian Church. Now Crosthwaite Commercial has been instructed to market the property which the agents are calling a "unique freehold opportunity." The property totals some 13,280 sq ft across four buildings on a site of one acre. It had the capacity up to 150 pupils. The main two-storey building was constructed as an industrial unit but has been converted, at considerable expense, to provide high specification teaching space benefiting from air conditioning, suspended ceilings and LED lighting. Further modular buildings are on the site where planning permission was granted conditionally in 2015 to demolish a technology block and erect a replacement buildings. The freehold property has been given a guide price of £650,000. The site benefits from planning consent for D1 Non-Residential Institution which covers uses such as schools, non-residential education and training centres, nurseries and places of worship. The Hellaby area is a popular industrial area and is home to the likes of KP Nuts, Pyronix and Stanley Tools. The Plymouth Brethren Christian Church are involved with a long running planning battle over land at Common Road in North Anston. 2011 plans for a the erection of two buildings to form an independent school, convention centre and gospel hall were withdrawn following concerns over the impact on greenbelt land. The application explained that the school needed to relocate from Helleby premises in order to meet future demands. Updated plans were resubmitted and refused by Rotherham Council and further plans with the school aspect removed were also refused. 2017 plans for a church with football facilities have also been refused.